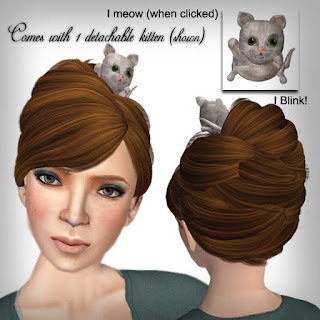 Tres Blah Update Blog: Kittens in your hair? Yes please! 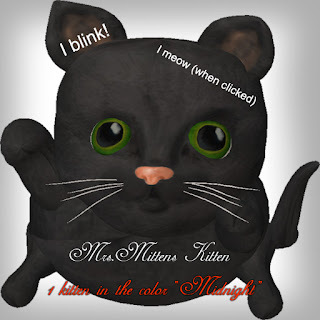 Kittens...who doesn't love them? Bubbles loves kittens so much he crafted some that have been trained over grueling months to sit perfectly atop a Clawtooth by Clawtooth wig. 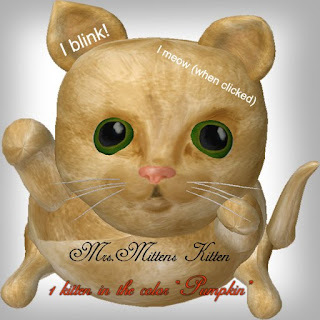 These kittens will be your best friend darlings, they will keep your inner most secrets and never speak a word unless you want them to (click them to make them meow!). The kittens also blink, Bubbles has tried advanced communication techniques with them to try to unlock the secrets of their hearts (blink once for yes, two for no) but it was terribly confusing and only ended in heartache and confusion for all parties involved. 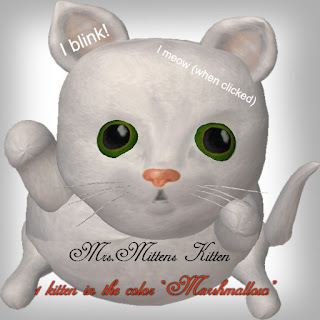 The breakdown: Cute kitties sit on your head and blink (and meow when clicked), doesn't get better then that does it sweetheart? No. It doesn't. The wig is called Mrs. Mittens and it's a soft swept french twist meets beehive updo. 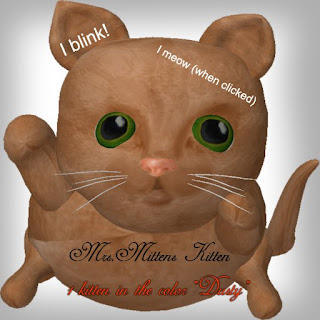 It features sweeping bangs, soft wisps of hair at the back of the neck, sweet tiny bobby pins throughout, and a little spot for a "Mrs.Mittens kitten" to sit.